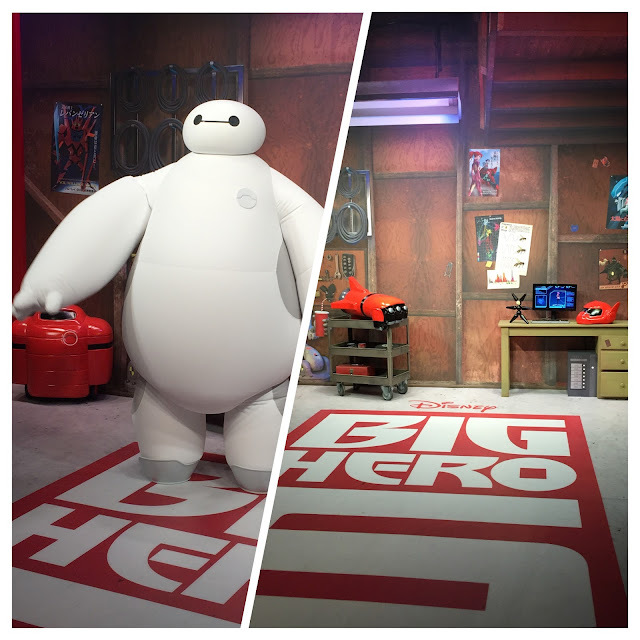 Disney's latest movie, Big Hero 6, has been out for two weekends and seems to be doing well. The main characters from the film, Hiro and Baymax, are now greeting guests at Hollywood Studios, in the Animation pavilion. I visited this spot today, and it was very popular. The line was long and there appeared to be a wait of at least an hour. I decided to post a split shot today, so both BayMax and the "set" could be seen.